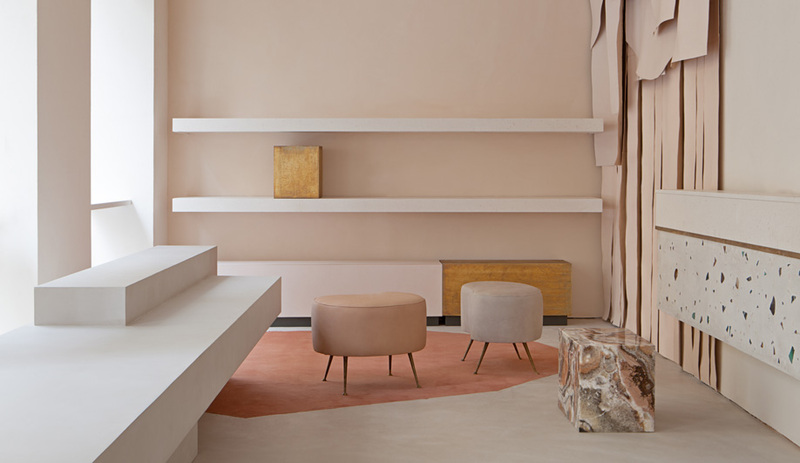 Inside Owen, a new clothing boutique in New York’s Meatpacking District, a lush brown canopy softens the edges of an otherwise industrial, brick-walled space. 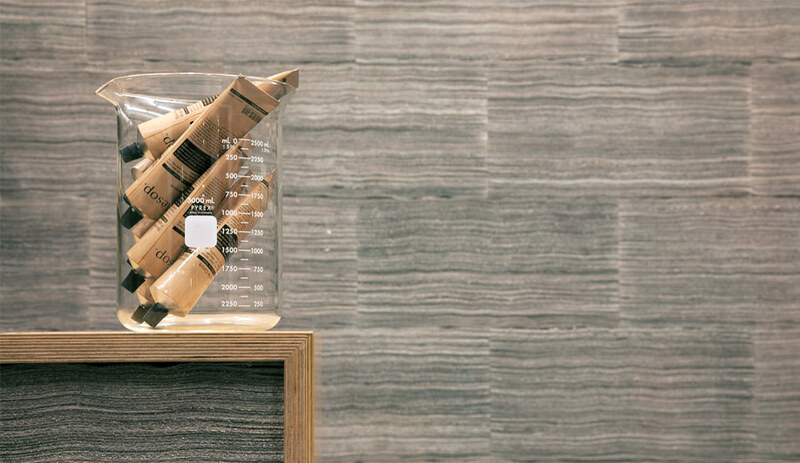 Upon closer inspection, the earthy texture reveals itself to be made of 25,000 brown paper bags, arranged in tight rows over a curved wooden frame that rises up one wall and extends across the ceiling. 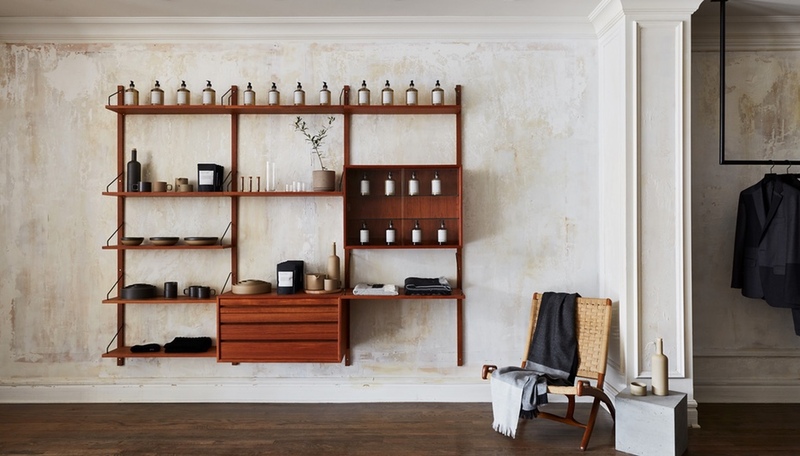 In creating the 167-square-metre shop, architect Jeremy Barbour of Brooklyn studio Tacklebox was inspired by its owner, Phillip Salem. 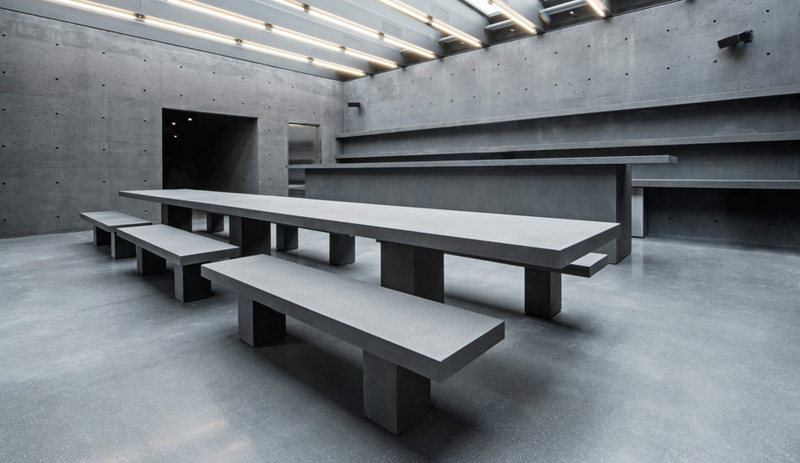 “He personally selected lines of clothing by designers [such as Vena Cava, Robert Geller and Timo Weiland] who have taken a classic look and introduced unique details to create remarkable, original pieces,” Barbour explains. “In response to this identity, I wanted to take something inherently familiar – the paper lunch bag many kids grew up with – and use it in a new way: to define an environment that was at the same time strangely foreign yet familiar.” If one of the bags (which are stapled in place), gets damaged, it can be replaced with minimal fuss and expense. Although paper might seem like a dubious choice, Barbour met fire regulations by working with a consultant to find a non-toxic flame retardant. 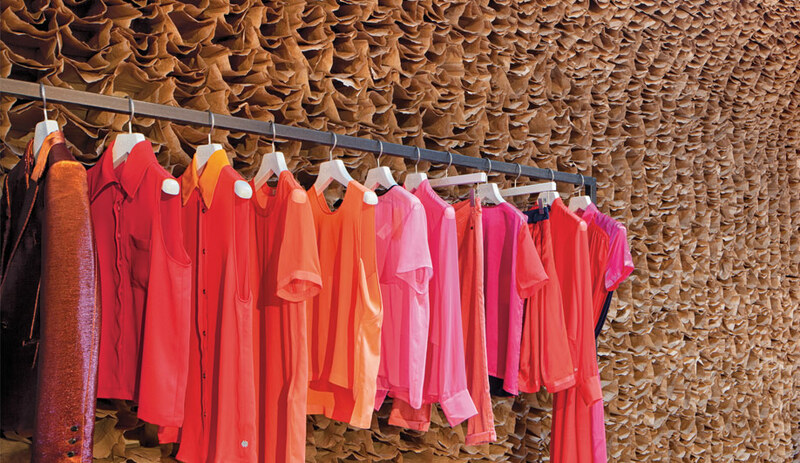 This is not the first time Barbour has elevated an everyday paper product into an art installation. 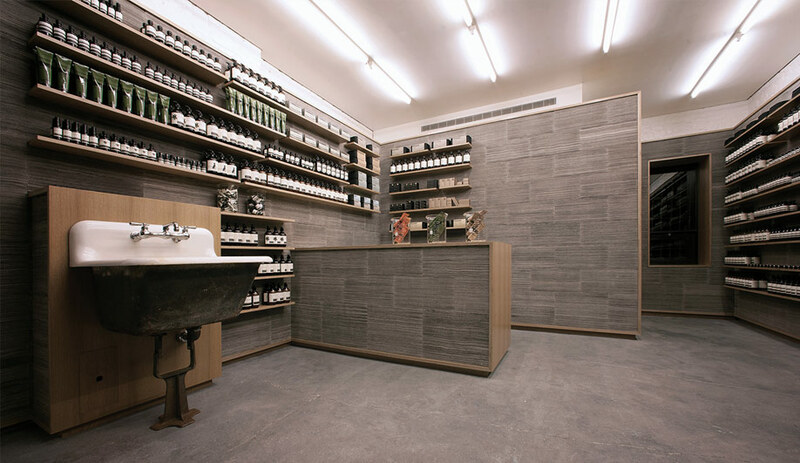 After emerging onto New York’s architecture scene in 2007 with the design of the 3.1 Phillip Lim flagship boutique in SoHo, using wall treatments made from stacked strips of tongue-and-groove oak flooring, he was recruited by the Australian skin care company Aesop to design its first three New York stores. 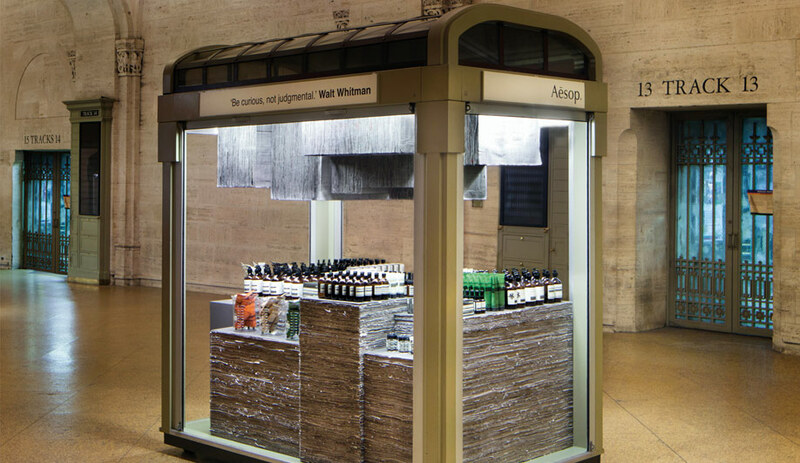 Made of 1,800 chopped, stacked copies of The New York Times, the Aesop kiosk in Grand Central Station drew instant praise from design blogs. 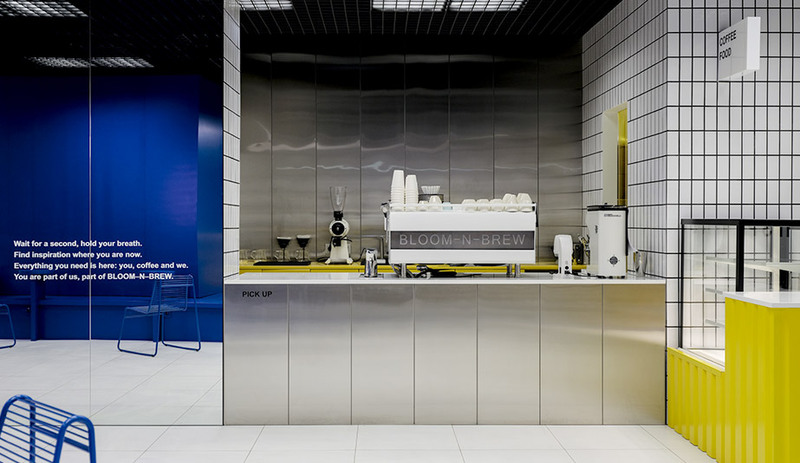 The second shop recycled 2,800 copies of the Times into a felt-like wallcovering, and the third is clad in industrial-grade grey felt.